I don’t know about you, but mysterious or suspenseful book summaries tend to hook me more easily than any others. And I don’t mean just a general story question; I mean the type of question that leaves me wondering if lives are at stake. 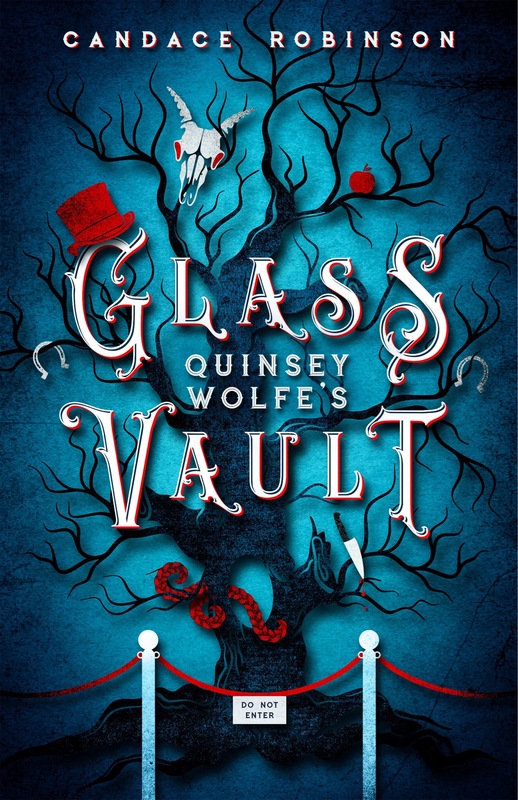 Quinsey Wolfe’s Glass Vault, by Candace Robinson, fits that description perfectly. I was captured as soon as I read the summary. Today, I’m happy to be helping to reveal the cover. I absolutely love the style of this cover. I can’t even fully explain why. There’s just something there, in the artwork, in the font, in the colours. It all just works together so well.